Classic 650nm red laser pointer with free custom engraving. Please specify name or words to be placed on the laser pointer using our own fiber laser engraving system! Due to the custom nature of this product, returns accepted only for defective laser. Perfect holiday gift!! 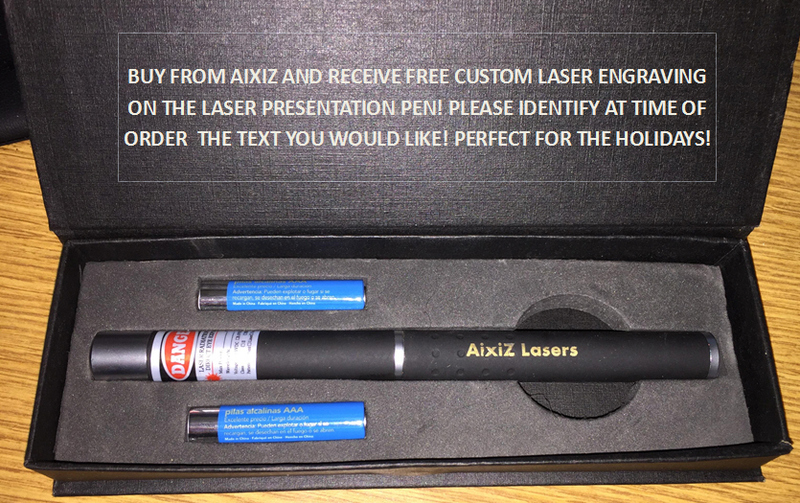 Notify me of updates to 5mw 650nm laser pointer with custom engraving!